Hearing aids in Fort Worth, TX are available at the Hearing Aid Center of Fort Worth ENT to enhance the ability to hear thus drastically improving our patients’ lives. When properly fitted and adjusted by a professional audiologist, hearing aids amplify sound quite well and can restore quality of life for those whose hearing loss has limited or hindered them in social, business, and personal situations. Hearing aids are beneficial for those suffering from hearing loss. Many patients have a gradual decrease in hearing over time, and may not notice it at first, until they become aware that greater effort is needed to hear. A loss in hearing clearly poses a challenge in communication. State-of-the-art hearing aids are offered at Fort Worth ENT. Our physicians and audiologists will help you choose the most appropriate hearing aid. Hearing aids contain small microphones that amplify speech and sounds from your environment right into your ear. The sounds are digitally analyzed and adjusted based on your level of hearing loss and needs, converted back into sound waves, then delivered through speakers in the hearing aid. The best way to find out if you could benefit from wearing hearing aids is through testing for audiology and hearing loss. Because of the typically gradual onset, hearing loss may not be recognized by the person who suffers from it. If you are experiencing these symptoms, contact the professional audiologists at Fort Worth ENT for an evaluation. Invisible or nearly invisible hearing aids are fitted deeply inside your ear canal to mimic capturing sounds as an ear is designed to do. Generally, no one realizes or notices you are wearing it. You may wear glasses and use a phone or headset with ease. 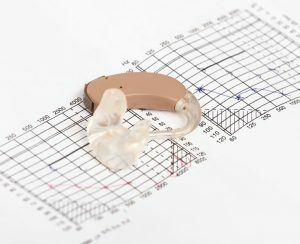 These hearing aids may not be appropriate for patients with curvy or small ear canals. Hearing aids also come in larger styles that fit behind and over the ear, appropriate for all hearing loss and all ages. All hearing aids use very small batteries that last 5 to 14 days. While any style hearing aid can improve hearing loss, it is important to find the one that best suits your needs. All components of this hearing aid are custom-made to fit within the bowl (concha) of your ear. At the Fort Worth ENT Hearing Center, we offer many hearing aid options and features while working closely with each individual patient to provide the hearing aids that best suit his or her needs. Technology has made wearing a hearing aid much more comfortable today. Bluetooth allows a wireless connection from a device, such as a cell phone, to transmit sound to both hearing aids rather than having a phone to one ear. The same type of Bluetooth technology makes connecting to computers, iPads, and music devices easy, and allows other users to work with the same devices without modifications for someone with a hearing aid. No matter which hearing aid you select, you are sure to find a comfortable match for your age, hearing loss, and lifestyle. To learn more about hearing aid technology, or to ask a professional is a hearing aid is right for you, give us a call today at 817-332-8848. We are qualified audiologists, and we can help you find your perfect hearing aid in Fort Worth, TX! Background noise can sometimes be a problem when you get hearing aids. While these noises cannot be completely eliminated, hearing aids are now available that can amplify the sounds you want to hear while minimizing unwanted noise. FM technology used in assistive listening devices is especially effective at reducing background noise as well. The wireless technology used in many hearing aids allows the two hearing aids to perform as a complete system rather than 2 individual devices. In this way, the hearing aids mimic the ears’ normal functionality. Wireless technology also allows patients to program and customize their hearing aids with such features as Bluetooth capability to connect to electronic devices like mobile phones, computers, and TVs. Digital technology offers greater flexibility in hearing aids since they can now be programmed to amplify specific frequencies, and the sound quality continues to get better as more advancements are made in the digital hearing aid field. The purpose of wearing hearing aids is to improve your hearing rather than to restore your hearing perfectly. Knowing what to expect from your hearing aids will help you become accustomed to them more easily. Because hearing is typically lost over the course of many years, it may take some time to get used to hearing sounds again. 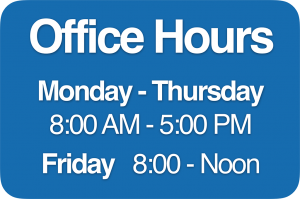 For most patients, this adjustment period can be a few weeks to months. Patients with more severe hearing loss for longer periods usually require a longer time to become acclimated. 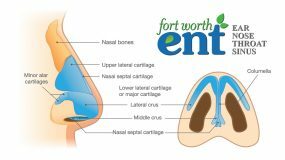 The audiologists at Fort Worth ENT will patiently work with you during the rehabilitative program. Often, hearing aids will need additional adjustments as you begin to get used to wearing them. Wear your hearing aids as often as you can. This allows you to be more accurate about what adjustments may need to be made. Keep a log of situations and circumstances during which your hearing aids are not performing in an optimal manner. Be patient and positive. Most hearing aids require 2-3 adjustments, so try not to get frustrated. The professional audiologists at Fort Worth ENT are here to help, so do not hesitate to contact us if you have questions or concerns about your hearing aids. For hearing loss, we have state-of-the-art hearing devices available from several major manufacturers. We will evaluate your individual needs, and help you select the style, technology, and brand that will be best for you. 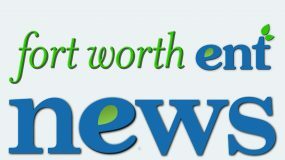 If you have questions concerning audiology and hearing loss in Fort Worth, TX or would like an appointment with one of our physicians at Fort Worth ENT & Sinus please complete an online appointment request or phone 817-332-8848.